Jerry talks to Keith McCready, Jay Helfert, Billy Incardona and Danny Diliberto about Grady Mathews. 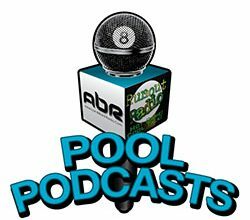 Jerry and Mike talk about Mosconi Cup, Derby City Classic and other billiards news. Then they talk to Ewa Laurance about her win at the WPBA Masters. Jerry and Mike talk to Gail Glazebrook and Larry Busacca about the Rack Starz. Our Hall of Fame show with new inductees Ralf Souquet and Danny Diliberto. CJ Wiley talks about his career as a player, his career as a promoter, the state of the game today and some interesting projects he has working. Please note that this interview was conducted prior to Episode 42 and the ABP’s US Open Boycott.